Skate to more fulfilling Saturdays. The wonders of ice skating create cherished memories for you and your kids that start with giggles and end with hugs. Imagine your kids growing mightier and mightier with every glide. Our trained instructors give them the physical and mental skills to conquer the day and take on life with confidence. Ice skating is not just for kids. It's for the kid inside all of us. Whether you're entering a rink for the first time or rekindling this lost love years later, you'll discover the ice is always there, waiting for you to come out and explore. 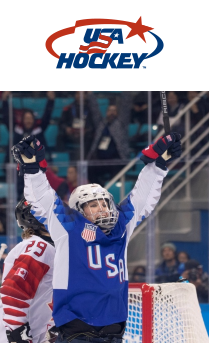 Icons such as figure skater Gracie Gold, hockey player T.J. Oshie and speedskater Apolo Ohno share fond memories that inspired them to strive to one day become Olympic champions. All dreams start somewhere. Start your child's dream here today. Your skaters don't just skate. They become rockets on ice. They become modern gladiators battling to find the back of the net, be the first to cross the finish line, or launch themselves high into the air. Olympic national governing bodies U.S. Figure Skating, USA Hockey and US Speedskating support Learn to Skate USA for the many health, social and developmental benefits gained through ice skating. What will skating do for you? 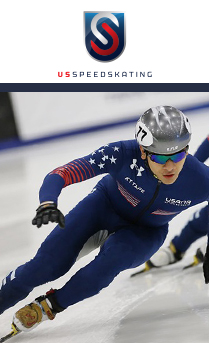 Learn to Skate USA offers programs for skaters of all ages and abilities. Use the buttons below to filter class options according to age and experience. These lessons put the FUN in fundamentals as your skaters enjoy learning the basics of ice skating. Before you can score a goal, you need to learn to skate. In the hockey program, skaters will learn how to be proficient and agile on the ice. Transitions, spins and jumps. 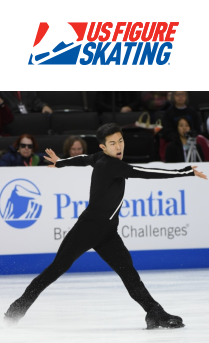 More progressive skating skills like these give more determined skaters like yours challenges they crave. Skaters will learn the main components of the magic of ice dancing, strengthen edges and turns while skating to music. Choreography, presentation and performance lays the groundwork for figure skaters to express themselves in their own special ways. The combination of speed, artistry and technical skills makes synchronized skating great for those interested in being a part of a team. Choreography, movements and the rapport between skaters working together as a team blend into unbelievable stories brought to life on the ice. Specially designed classes allow individuals with a range of physical or developmental disabilities to skate. Endorsed by the Special Olympics. Learn to Speed Skate introduces skaters to the basics of speed skating and provides motivation to continue improving skating skills. Ice skating is for the kid in all of us. The adult curriculum is designed for beginning and experienced skaters who wish to improve their skills. Introduction to pairs skating classes are designed to encourage skaters to learn and enjoy skills unique to pair skating. Specifically designed to promote proper skill progression and achievement of the Axel jump. The curriculum is divided into two sections, off-ice and on-ice, allowing skaters to learn the skills necessary to land the Axel jump.